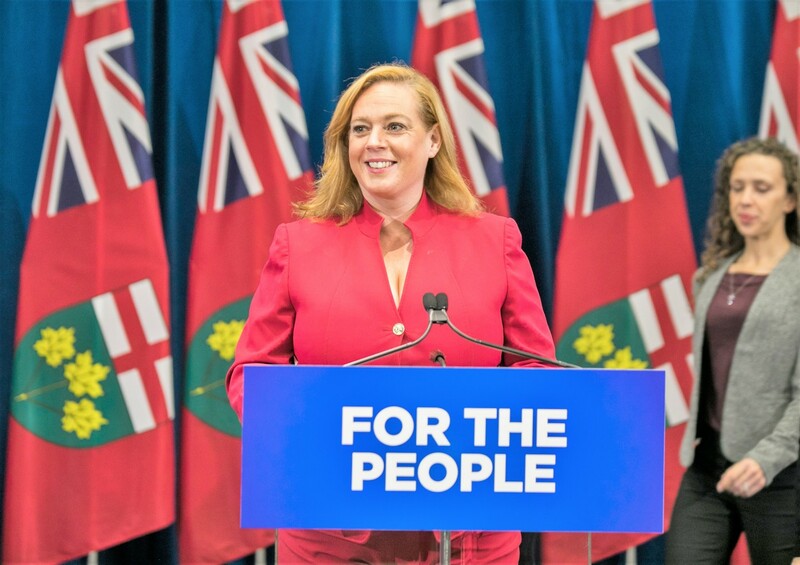 With rates of unemployment and poverty much higher than the Ontario average, changes announced to social assistance by Minister of Children, Community and Social Services Lisa MacLeod on Thursday could have huge implications for Brampton. A large new-immigrant population and years of decline in the city’s old manufacturing base, coupled with an unemployment rate that stands at 8.2 percent compared to the provincial average of 5.6 percent, leave Bramptonians particularly vulnerable to the PC government’s plans to push Ontario Works recipients off assistance and toward employment more quickly. "The sad truth is that social assistance in Ontario is simply not working for the people it is intended to support. It traps people in a cycle of dependency, and all too often it robs them of the dignity and independence of a job." That will come in part by reducing the Liberals’ planned 3 percent across-the-board increase in welfare payments to 1.5 percent, while the government is touting a Low-income Individuals and Families Tax (LIFT) credit that it says will put up to $850 back into the pockets of low wage earners. With the Ontario inflation rate currently running at over 2 percent, the reduced increase will leave social assistance recipients even further behind in terms of purchasing power. But that’s not a bad thing, MacLeod suggested. With the PC government also cancelling plans to increase the minimum wage from the current $14 to $15, recent immigrants and others in Brampton who rely on low-wage entry-level jobs to survive will be left between a rock and a hard place. The changes come after a 100-day review of the province’s two main social welfare programs, Ontario Works and the Ontario Disability Support Program. Two weeks ago, MacLeod announced that she would be framing her changes to the programs with compassion in mind. Thursday, she described the rationale in a way that could have come from the Tory playbook in 1993 during the Mike Harris years, when social assistance payments were slashed, never to recover fully despite some increases tied to inflation. "The sad truth is that social assistance in Ontario is simply not working for the people it is intended to support. It traps people in a cycle of dependency, and all too often it robs them of the dignity and independence of a job," MacLeod said. The plan includes what MacLeod said was, for the first time, a multi-ministry approach that not only ties assistance more strongly to employment, but gives municipalities more discretion over how social assistance is distributed, cuts the focus on red tape and eligibility requirements, and gives government service workers a chance to provide customized back-to-work plans for each social assistance recipient, with a combination of training; job placement; mental health and addiction support; and childcare, housing, and life skills support tailored to meet their needs. MacLeod did not spell out details. 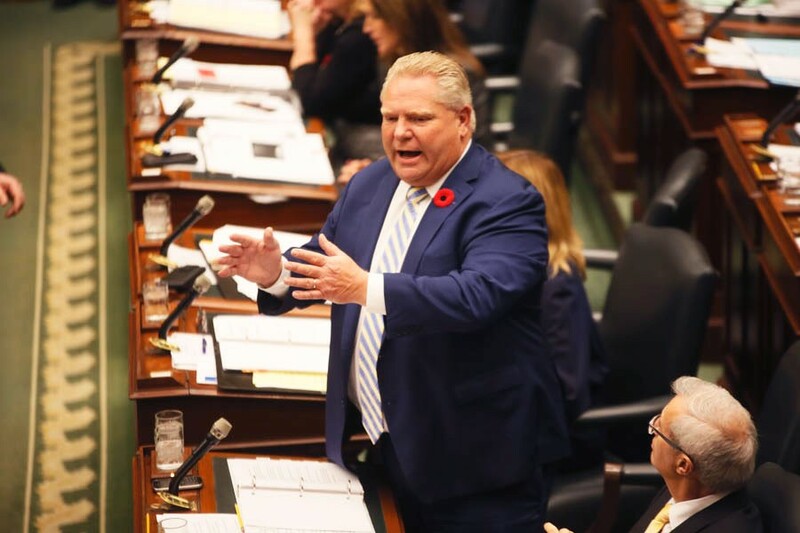 About one million Ontarians benefit from some form of social assistance, MacLeod said, making the program a $10 billion part of the provincial budget. She said 80 percent of those who manage to get off assistance are back in the system within a year. The numbers include more than 19,000 Peel Region families who were receiving Ontario Works assistance during the first half of this year. The amounts provided aren’t nearly enough to raise a Brampton family out of poverty. Currently a single parent with two children is eligible for $360 monthly in basic assistance plus a shelter allowance of up to $642. A single adult could get $343 in basic aid plus up to $390 in shelter allowance. Easing back into work while still on social assistance will become more attractive under the PC plan, though less so than might have happened under the Liberals. Currently, recipients of Ontario Works face seeing their assistance clawed back on anything they earn over $200 per month. Kathleen Wynne’s government had promised to increase that threshold to $400, with a 50 percent exemption on earnings above that amount. MacLeod’s overhaul will put the limit at $300, with a 25 percent exemption on further earnings. There will also be changes to the disability support program, including a review of the definition of disability for the purpose of receiving assistance, to align it more closely with a more restrictive definition used by Ottawa. Critics say this could unfairly raise the bar for new enrollees, as there is no single federal definition of disability. In response to questions, MacLeod said current ODSP recipients will be grandfathered into the program. ODSP recipients will no longer have their eligibility reviewed monthly — only annually. The plan will also emphasize “customization and choice,” MacLeod said. Those on ODSP will be able to earn up to $6000 per year without facing any deductions from assistance and will have access to health spending accounts so they can choose benefits suitable to them. The social safety net is particularly important in Peel Region, where income inequality is rising and mid-level earners are a declining portion of the population. A 2018 report by the United Way of Greater Toronto, titled The Opportunity Equation in the Greater Toronto Area, said that in 1980, only 2 percent of Peel’s population lived in poverty. By 2015, that proportion had increased to 52 percent, meaning more than half of residents are living below the poverty line. Some 94 percent of Peel residents are either low or middle-income earners, compared to an average income within the Toronto Census Metropolitan Area of $50,479 per year. According to Laura Quinn of United Way Greater Toronto, “a more client-centered, locally-driven approach, with a focus on investment in wrap-around supports and service coordination, is essential for building pathways to economic opportunity. This is the right focus for achieving meaningful transformation." Departing Councillor Elaine Moore said social services in Peel Region have been “chronically underfunded, generally speaking.” Moore served as city councillor in Wards 1 and 5 for 18 years and has seen first-hand how a growing immigrant community can struggle particularly hard to find well-paid employment and rise above poverty. There is “a lack of access (for social services) particularly for people of colour, especially young people of colour,” said Sophia Brown Ramsay, a community development manager for the Black Canadian Action Network. She believes municipalities need to forge a strong partnership with the province to provide social services to vulnerable residents, a point on which MacLeod agrees. “In particular we will partner with and support municipalities. We will give them more power to choose how to deliver social assistance,” MacLeod said during her announcement. “I want every dollar we spend on social assistance to do one of two things. First, to provide compassionate support for those who clearly cannot re-enter the workforce. Secondly, to provide meaningful assistance to those who can work,” she told reporters. Before MacLeod’s announcement, Windsor West MPP Lisa Gretzky raised the possibility in the legislature that the government was planning another Harris-style slash and burn of social assistance. “We have a plan for those who can work, a plan that offers a path from poverty. We are going to, for those cannot work, build in more and better and compassionate supports,” MacLeod said.